As corporations begin to look at ways to mitigate risk in cyber attacks, the insurance industry has stepped forward to fill a gap. 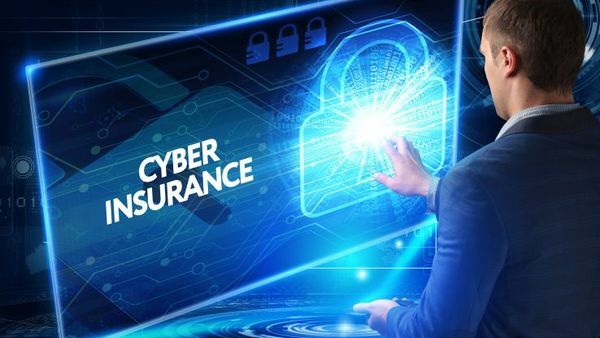 At PatchAdvisor we have begun a partnership with GovTech’s cyber insurance group, in part because we believe we can greatly assist its clients in vulnerability assessments, therefore reducing unnecessary risks. We encourage you to explore insurance because readying your cybersecurity toolkit remains a part of solid business asset management, and because we humans cannot plan for every circumstance. Ending this last month of June 2017, we saw yet more global attacks, destroying data systems in Europe and the United States and again questions abound about whether United States businesses and organizations are prepared for cyber threats. “Petya,” started in the Ukraine and wreaked havoc across the globe. Its effects were devastating, even shutting down an entire hospital, forcing it to replace crucial portions of its networks, in West Virginia. At PatchAdvisor, we believe that technologies are rapidly evolving to assist corporations in making wiser choices for risk mitigation through software and hardware, but we also know that it is the human element of a vulnerability assessment that dictates decisions that require scrutiny. $158 for every lost or stolen record. In highly regulated industries like healthcare, the cost of a breach can be as much as $355 per record. The greatest risk pool may be in those companies that must rely on industrial control networks, and those tinkering with an Internet of Things model, from my experience. In fact, very few companies can claim knowledge of the “new” frontiers we are facing in internet security as we look to make life simpler at the office, while simultaneously protecting our assets. This is the time to ring the bell for compliance, and examine new technologies, but allow PatchAdvisor to provide you with the human element so vital in distinguishing what is so. That’s why you can expect to see more partnerships with insurance companies and companies like ours, as the needle moves up on attacks. Another cyber insurance provider, Lloyds of London, recently announced a partnership with Waterfall Security, a maker of unidirectional security gateway products. Cyber insurance is a thriving market, which Lloyd’s of London (Hartwig & Wilkinson, 2015) estimates will grow to $85B worldwide by 2025. While the obvious insured request is for cyber loss or damage, insurance can also bring coverage for PR expenses in dealing with cyber attacks as well as the cost of business interruptions. The handshake going on with insurance providers will continue, and PatchAdvisor will look to leverage its expertise so companies hopefully don’t need that insurance, however partnerships like ours with GovTech give you double protection. The process of a vulnerability assessment moves organizations to mitigate before there is a problem, and compliance with current standards of excellence in the cybersecurity industry assist you in preparing for the worst while hoping for the best possible outcomes. We regularly perform system assessments for the US Department of Defense and are willing to support all sizes of organizations seeking our assistance. Reach us at info@patchadvisor.com for questions regarding our services or to receive a quote on our offerings.